Target Audience: High School Students, College Freshmen and Sophomores, Class 11/12 Students in India preparing for ISC/CBSE and Entrance Examinations like the IIT-JEE, Anyone else who needs this Tutorial as a reference! sin -1-1-1The symbol sin-1The value of an inverse trigonometric functions which lies in its principal value branch (range of principal inverse trigonometric functions) is called the principal value of that inverse trigonometric functions. Domains and ranges (principal value branches) of inverse trigonometric functions. 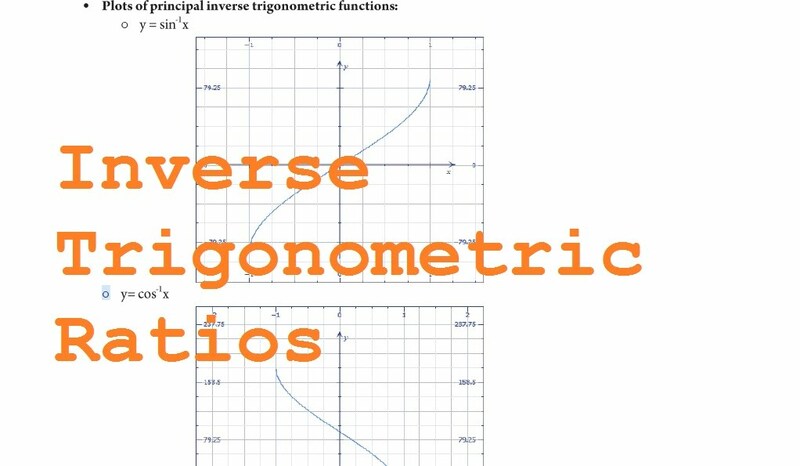 Important formulas related to inverse trigonometric functions. Graphs and plots of inverse trigonometric ratios.